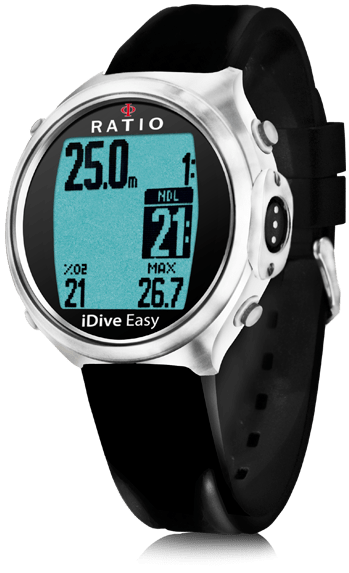 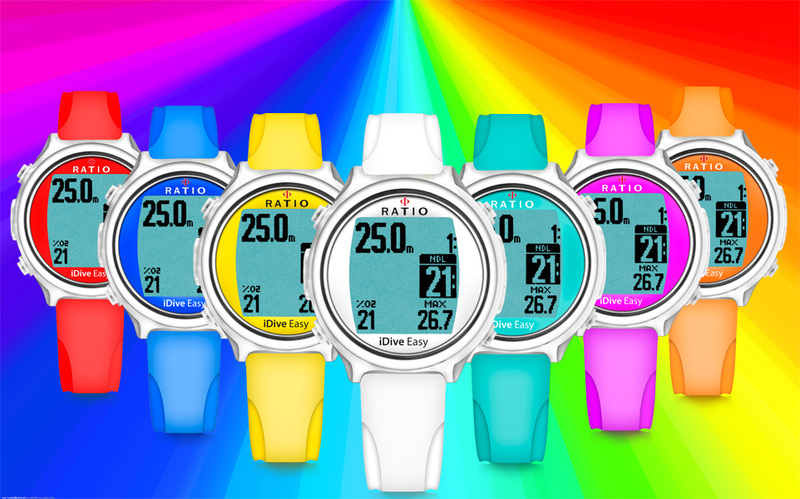 The RATIO® computer iDive Easy is a two gas switching computer, with electronic compass, weather and even a fitness application. 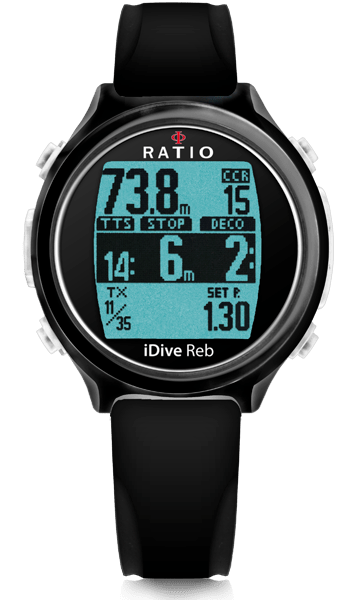 The top of the range iDive Reb is a multi trimix gas and CCR compatible dive computer. 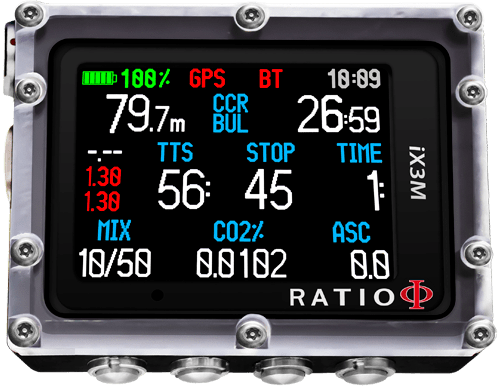 The RATIO® computer iX3M range starts as a three gas switching computer, the top of the range is a three diluent, ten trimix with external cell connector. 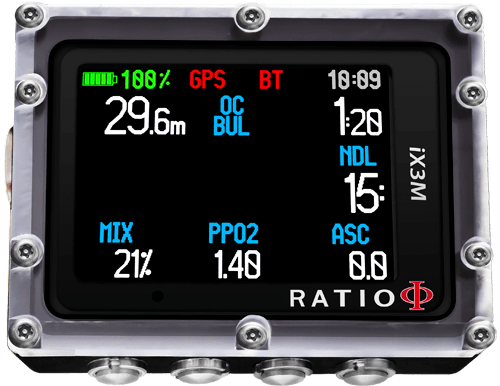 All RATIO® computer models are available to order.